Our range of products include infra-red lamp (floor model). 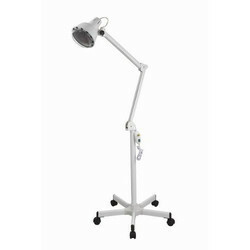 Being a natural way to heal the body pain, Infra-Red Lamp (Floor Model) LCS 572 is widely used in many medical centers. It mainly used to focus the heat in where the target is required. The floor model is basically used as it can easily get positioned anywhere the customer want.